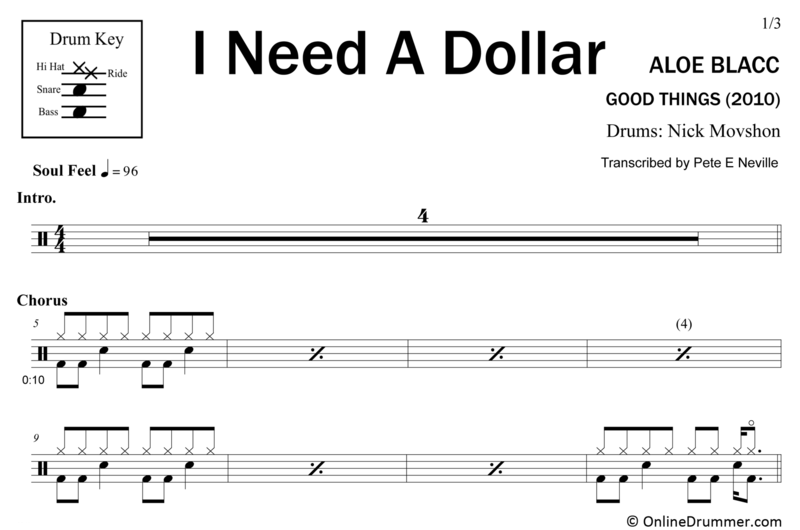 The full drum sheet music for “I Need A Dollar” by Aloe Blacc from the album Good Things (2010). Nick Movshon laid down a slick drum track. This is a fun song to play and even accessible to new drummers. Get your dollar’s worth of drums with this song!